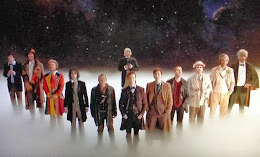 type40 - Doctor Who news and views: NEW DALEK TOYSET BACKDROP - SPOILER? 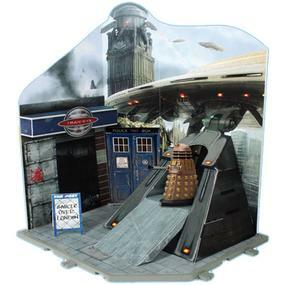 NEW DALEK TOYSET BACKDROP - SPOILER? We noticed the claw on Big Ben, and the 'Daleks Invasion of Earth' feel of the thing.... Is this another hint of the anniversary special? MINI TARDIS TO BE SENT INTO SPACE! PARIS JACKSON TO BECOME THE NEXT DOCTOR?